BE Mechanical engineering project: Electromagnetic noise in resonant cavities and apertures ~ Engineering projects ideas for final year students & paper presentations collection blog. Title: Analysis and mitigation of electromagnetic noise in resonant cavities and apertures. Departments: Mechanical engineering projects, electrical engineering. 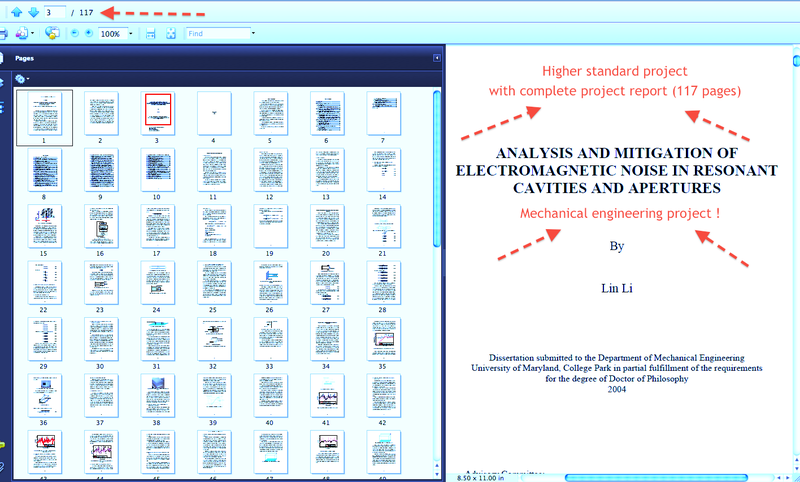 Can be used for: Projects by final year engineering students, higher level projects, paper presentations. Mechanical engineering students are the ones who are hitting this blog more in numbers. In recent times, we found most of the students belonging to this department are not interested in regular engineering projects that all common final years do. These guys are interested in doing projects that are considered to be complicated and having goo scope for their higher educations. This project is an higher level engineering project. But a good one for the mechanical engineering students who are trying to something different and make an better knowledge in the core side. This project is basically about the recent trend called "Low voltage electronics circuits that are vulnerable to electromagnetic interference"